The East Sussex Open 2016 at The Towner Gallery, Eastbourne opens this Friday evening alongside 2 other exhibitions – Some Are Nights Others Stars (featuring work by Michael Armitage, Ruth Claxton, Tiffany Chung, Siobhan Hapaska, Isaac Julien) and David Bomberg: A Sense of Place. 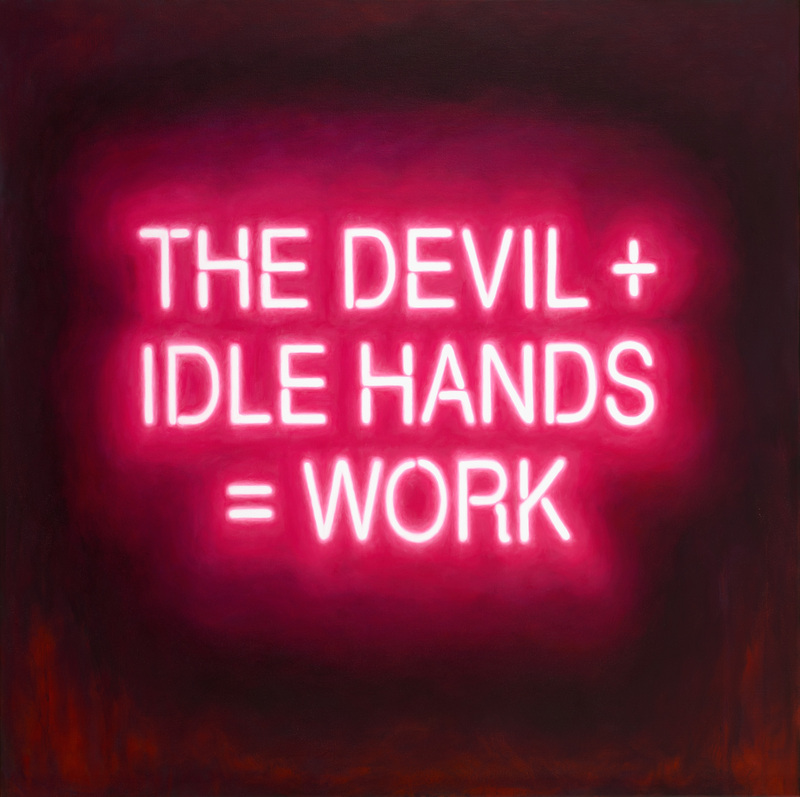 My painting The Devil + Idle Hands 1 (above) was selected for the ESO 2016, and I was really chuffed that they are also using it as the publicity image for the exhibition, which means it has already graced the pages of the Towner exhibition programme, as well as featuring in adverts across local media. 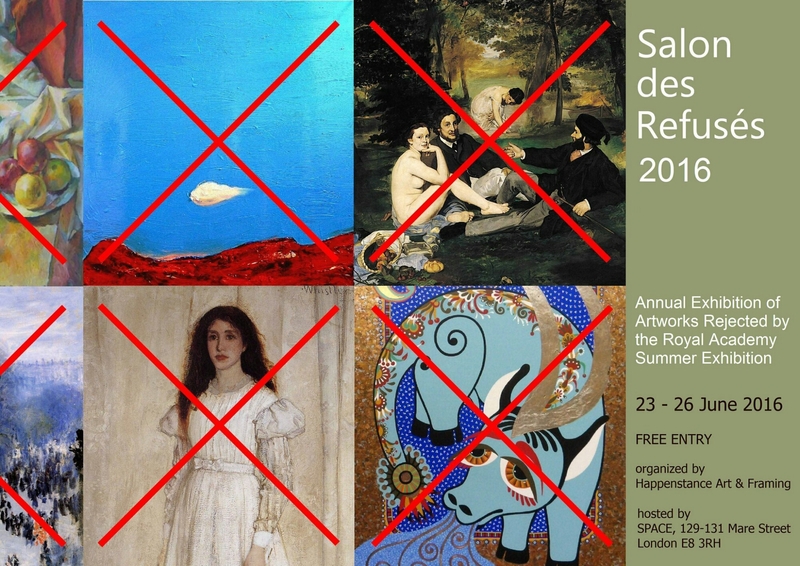 * The Salon Des Refusés takes its cue from the original 18th Century “Salon des Refusés” which showed works – by artists including Manet and Whistler – rejected from the official Paris Salon exhibition, this contemporary show features works rejected by the Royal Academy Summer Exhibition 2016. I will be showing the latest in my neon ‘Drip’ series: Drip 6 (For Barnett Newman). Oops, I’ve been a bit slow with the ol’ blowing-of-one’s-own-trumpet here on my website… but I can now announce that my Wells Art Contemporary winner show at 45 Park Lane – The Dorchester Collection has “officially sold out”. London – Roy Ackerman’s Tadema Studios announces that Dominic Bradnum, winner of Wells Art Contemporary (WAC) 2013, 1st prize exhibition has officially sold out at 45 Park Lane. All 20 original pieces of art were sold over the 4-week exhibition at 45 Park Lane. 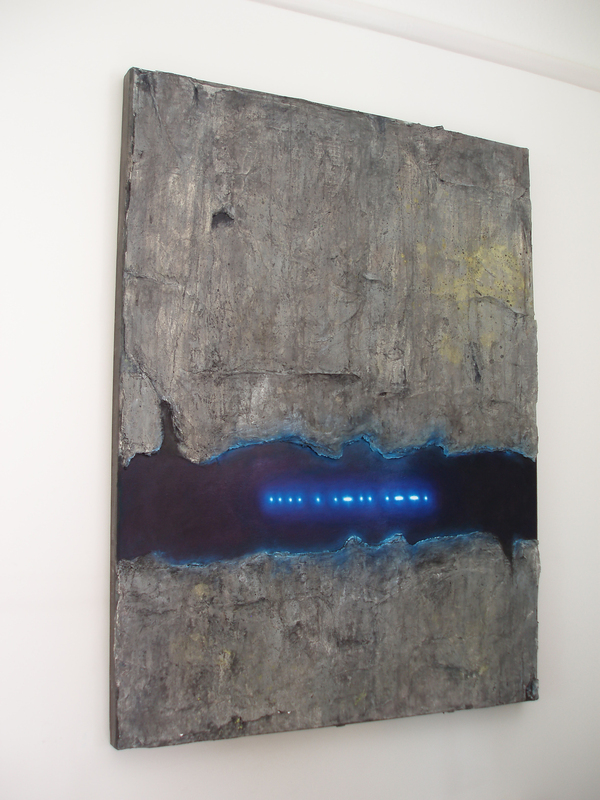 Dominic’s work was purchased by two overseas buyers and will go into private collections. “The fact that this young artist has sold his entire exhibition in such a short space of time is testament to his unique talent, and Dominic looks forward to procuring private commissions based on the enthusiasm shown at his sell out show”. So, I’d say this WAC business has been good for me so far! Anyone wishing to enter this year’s competition, you can do so at the Wells Art Contemporary 2014 website until 4th September 2014. I have to say, it was quite a shock and a delight to get such validation of my art, particularly with the extremely high profile judges who were awarding the prizes: Sir Peter Blake, Brendan Neiland, Bruce McLean, Christian Furr, Joe Tilson, Martin Fuller, Patrick Hughes, Brad Faine, Donald Smith, Ivor Abrahams, Tom Philips and curator Roy Ackerman CBE. My prize is a 10-day solo exhibition at 45 Park Lane, London, including an opening night reception and overnight stay at the hotel! I think I used the twitter hashtag #slightlyshockedbutchuffed last night. In a bid to temper the sweet taste of victory, I did the washing up and updated my Saatchi online profile. Well, I made it through to the 2nd round, which means the competition is down from 3,999 to 300! THANK YOU TO ALL WHO VOTED FOR MY PAINTING. The 2nd round is Jury voted, and only 30 works will be selected, so wish me luck! If you are able to take a moment to click on the link and vote, that would be hugely appreciated. And please do pass on to anyone else who you think may be interested too.